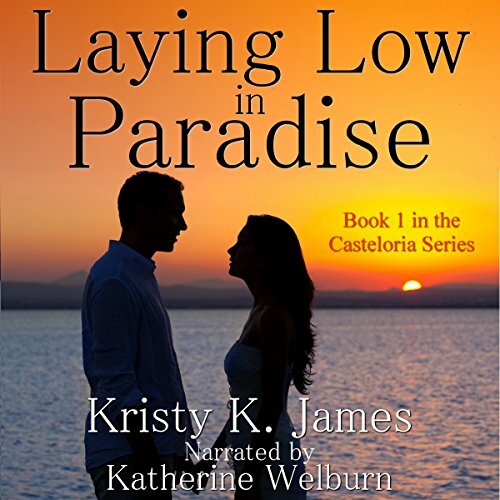 From the author of the popular Coach's Boys series, Kristy K. James, comes a romantic suspense story to keep you on the edge of your seat! He's hiding out because someone wants him dead…. Cameron Rafferty is keeping secrets. Dangerous secrets that could endanger the lives of everyone around him. His plan was simple...keep a low profile until the would-be killer was found. And it was working - until an accident changed everything. Before he knows it, he finds himself becoming more involved with the family next door, and wishing for things he shouldn't. Things that will put their lives in jeopardy, too. Would you listen to Laying Low in Paradise again? Why? Which character – as performed by Katie Welburn – was your favorite? I almost stopped listening about halfway through, but I'm glad I kept going - it was very good by the end. Initially the neighbor characters were not behaving like men typically would in their situation, just not believable. The reason was eventually was revealed, but almost too late. The narrator was very good with a broad range of engaging emotions, but was occasionally more cheerful than warranted in the moment. Nonetheless I look forward to the next installment. It's nice to find a clean book to listen to for a change.